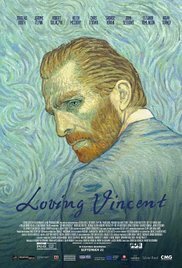 SYNOPSIS: LOVING VINCENT brings the paintings of Vincent van Gogh to life to tell his remarkable story. 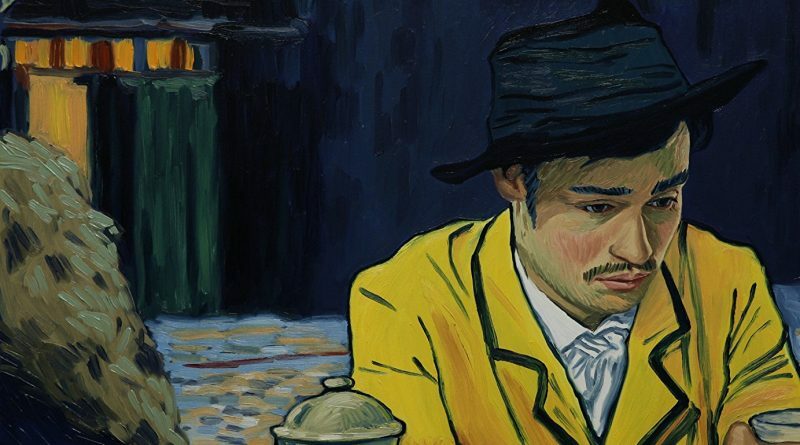 Every one of the 65,000 frames of the film is an oil-painting hand-painted by professional oil-painters who travelled from all across Europe to the Loving Vincent studios in Poland and Greece to be a part of the production. As remarkable as Vincent’s brilliant paintings, is his passionate and ill-fated life, and mysterious death. The film begins one year after the tragic death of a very young Vincent Van Gogh and told in flashback narrative. Most everyone has heard of the eccentric painter with the most famous ear. Sorry, Mike Tyson. You are second. Fewer but still many can recognize his art when seeing it in a gallery, Hobby Lobby reprint, or the front of a niche t’shirt. But this film gives a more personal account into the man who would never get to experience popular notoriety. But then few painters do. I found myself being distracted by the dialogue due to the movement of color and design. I mean this as a compliment; sort of. Selfishly I wanted the best of both worlds. The story and script were compelling and I wanted to be able to focus on the life of the man. This goes back to animation vs live action and why I lean toward the latter. Another part of me wants to put the movie on mute and let my favorite classical piece of music play as I watch. 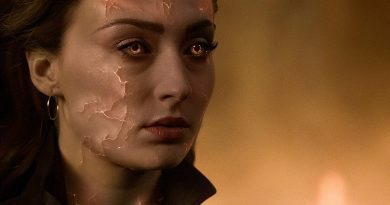 That would allow me to experience the extreme artistry the painters created. Together they work. It wasn’t impossible to enjoy both. Many may take away one or the other. At least this gives you the option. Probably not everyones cup of tea but for lovers of art I can think of nothing more inspired that has come out in some time. 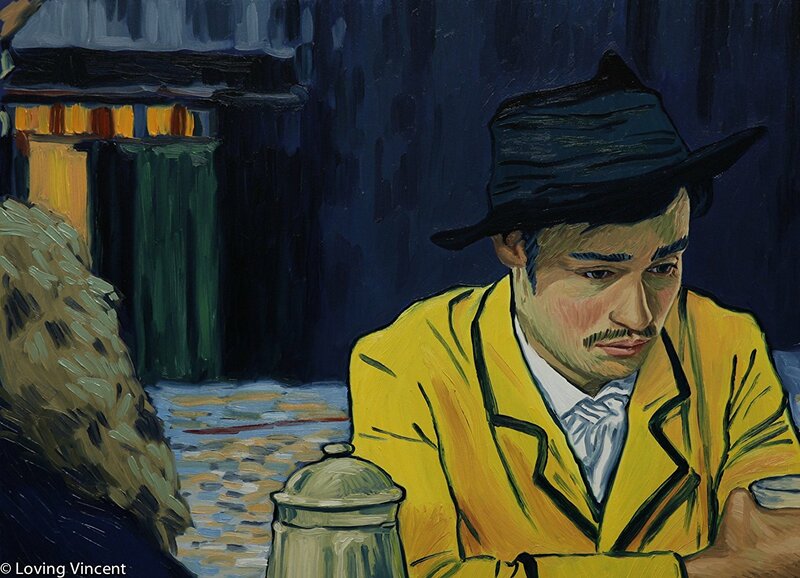 LOVING VINCENT is rated PG-13 for mature thematic elements, some violence, sexual material and smoking. Nothing remotely offensive. Due to the films concept it is more for adults. I give it 3.5 out of 5 Cafe Terraces at Night. Certainly a one of kind creation.